“You snap out of a trance in a cold sweat, having had a disturbing premonition of a stranger meeting a grisly death at a familiar location. You continue on your way as you travel around town unaware that someone in town has had a similar premonition of you meeting your own sticky end. The player to your left has had a vision of your death and their Premonition card shows where in town it will happen. 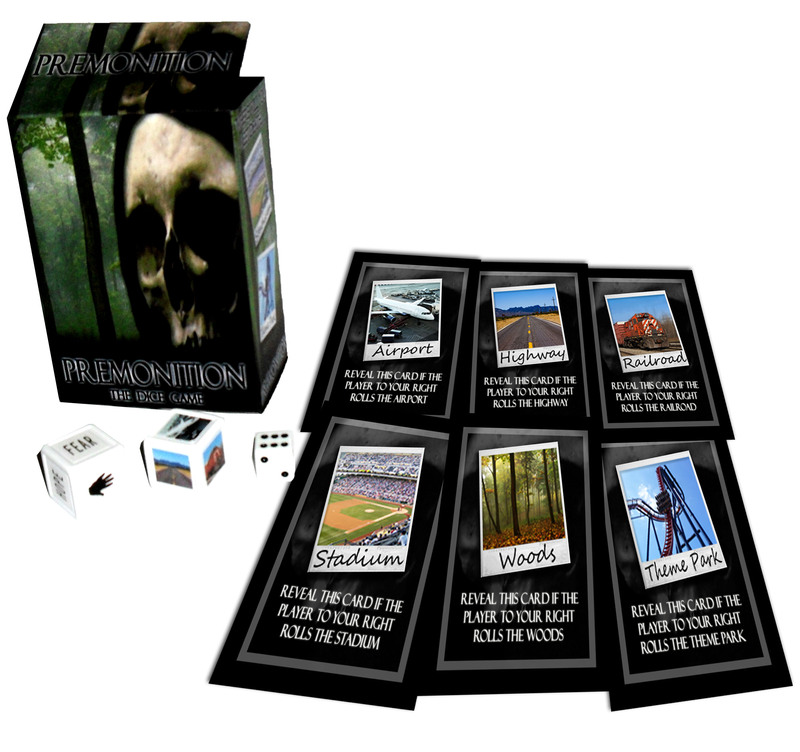 On your turn you will travel to a new location in town by rolling the Location dice but if you roll the location on their card, you will meet the Grim Reaper. Then you must roll the standard die to score equal to or less than your current Wits points to survive. If you can survive for 12 hours you will have successfully have evaded Death’s clutches. The game files include the dice faces, rules, cards, and counters needed to play. You will need to provide 1 x standard 6 sided die, 2 x blank 6 sided dice (we recommend 19mm indented blank dice) and a printable adhesive sheet to print the dice faces on.